We transport CM chain hoists every day, and have perfected the inserts that cradle these motors. 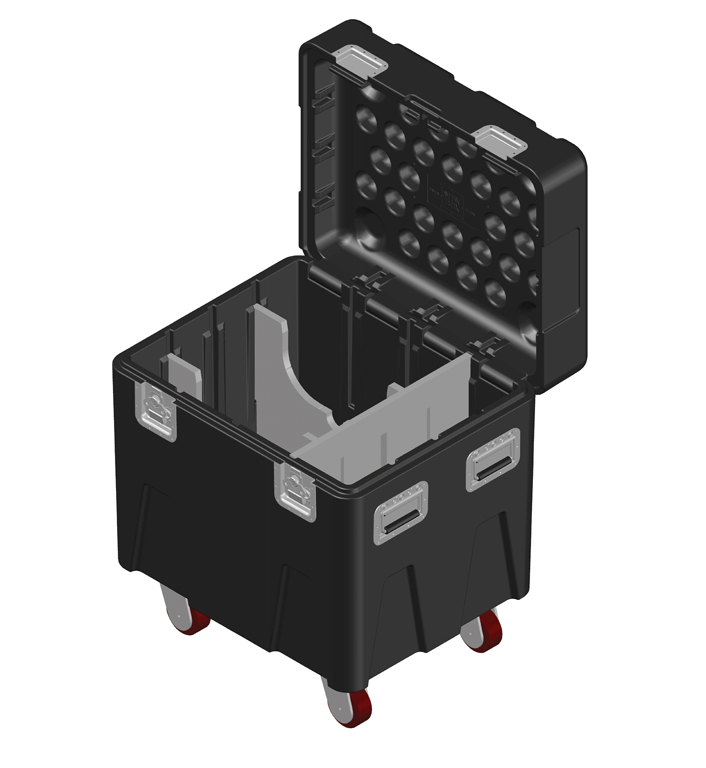 This pack is designed to store a CM Large Frame Classic Lodestar and provide a segmented area for additional equipment. Using two MLD13-V2 inserts and one MSD14 insert, this Spektrum SM Pack provides enough storage for your chain bags and additional equipment while cradling a Large Frame Classic Lodestar safely and securely.